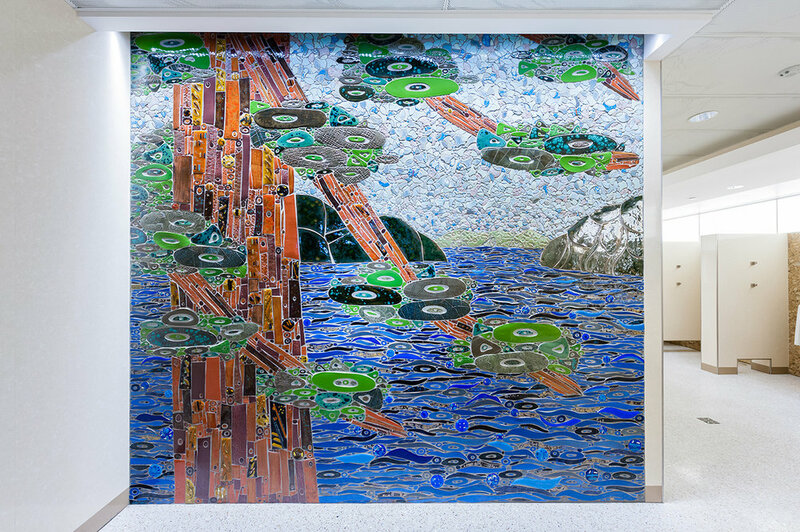 In 2016, the Metropolitan Airports Commission (MAC) selected me (and several other Minnesota tile artisans) to create tile and glass murals for the Minneapolis-St. Paul International Airport restrooms as part of a $12 million, three-year airport renovation project. "Minnesota Landscape" was the concept and the goal was to remodel 300 restrooms (used an estimated 7,000 a day) to welcome travelers to Minnesota and showcase the Minnesota experience with local food, music, and art. 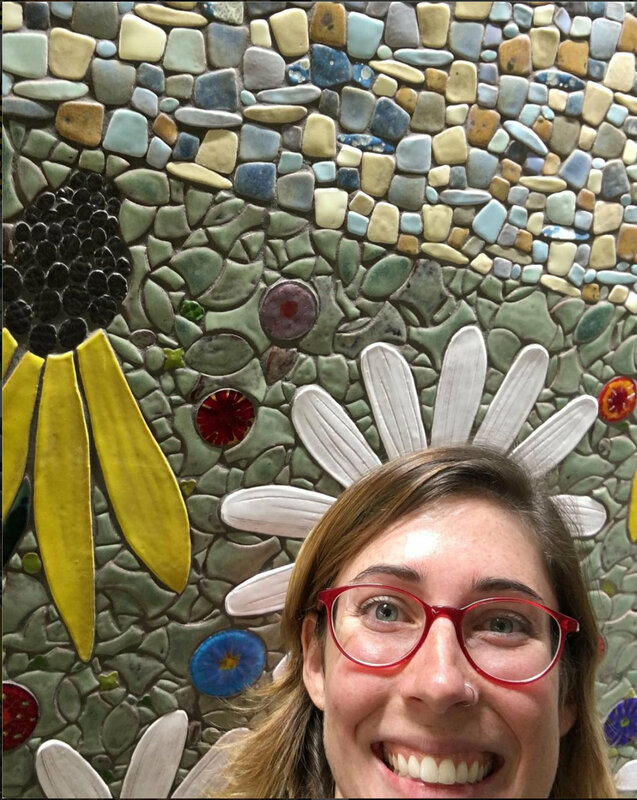 Each artist was to create bold and colorful glass and tile work in a unique style with personal interpretations of local and statewide iconography. I traveled throughout Minnesota to research the beauty of our natural landscape and get ideas. I then created a body of handmade tile work for the mural. Jeana Sommers assisted me with all aspects of fabrication and installation, and Jan Hohn of Hohn and Hohn assisted with installation. 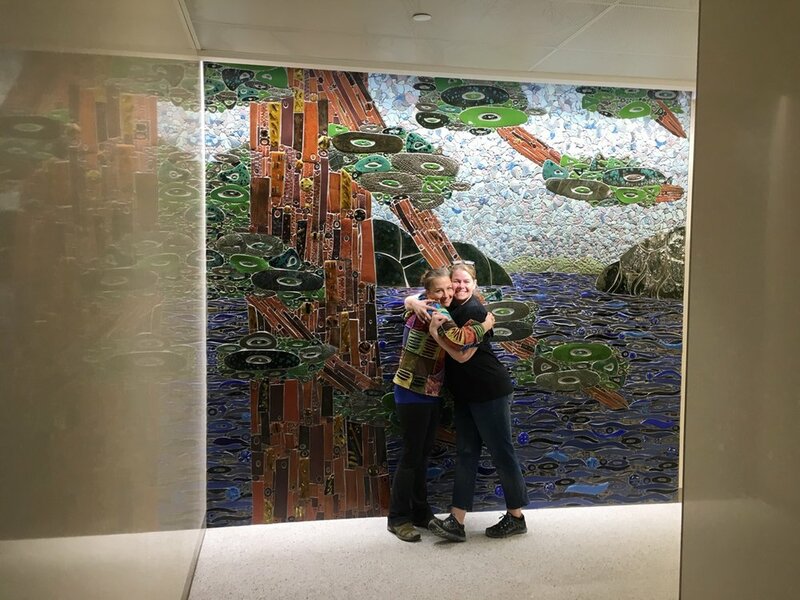 The mosaics are located across from Aveda in the main mall area at Lindbergh Terminal! 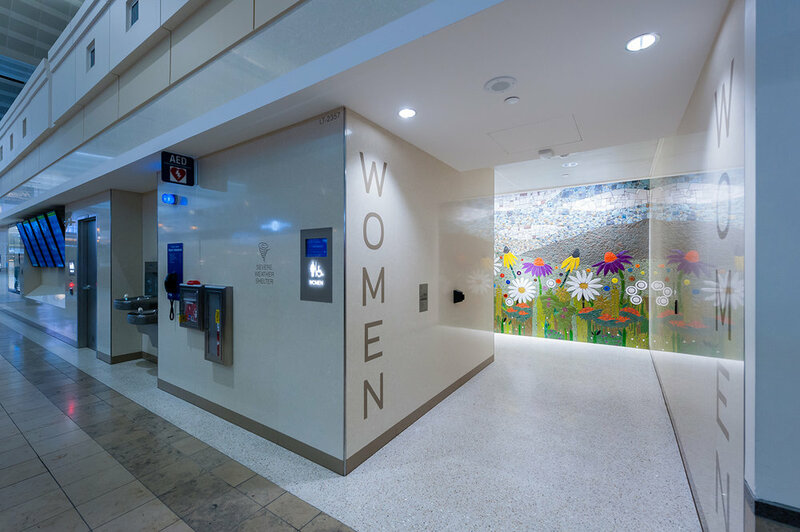 Gayle King is a big fan of Minneapolis airport bathrooms, and even mentioned my mural in her instagram post!